In the days of old many users flocked to Nero as the burning tool of choice for creating and burning their data to CD and DVD discs. 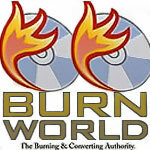 Over the years as multimedia made more of an impact in our daily lives the need for simple disc burning became something to overlook. The developers at Nero grew with the industry and started to create more software that allowed you to manage your multimedia is easier ways. Introduced a few years ago, Nero Multimedia Suites began to offer users ways to capture their video from camcorders or cell phones, convert video into DVD format, edit and author DVD video, and improve on ways to back up and burn your data to DVD and BD. The basic functionality of the old Nero Burning ROM is still included which many users have used as the defacto standard for backing up data to physical discs. However in the latest incarnation of Nero 11 introduces us to a feature called Nero Kwik Media Library which is the central media gathering place for all of your multimedia files. This library is accessible to all of the separate tools included in Nero 11. This makes organizing and accessing your videos, digital photos, and music much more user-friendly and easy to access. To keep up with the trends of smart phones and multimedia, Nero 11 now supports all Android powered devices as well as Apple iPhones, iPod’s and iPad’s. Built into Nero 11 is the ability to sync all of your movies, music, digital photos, and ebooks to any of your devices wirelessly. This replaces the need for the clunky iTunes for Apple devices and the randomly good software for syncing to Android devices.